Home » Blog » WOULD YOU TAKE THE RISK? Risk taking- dare you do it? Particularly as limitations begin to impact on our daily life, the risk involved in even the most basic daily activity has to be assessed- and now there’s a ‘fancy’ name for it: positive risk taking. In the care sector, be it at home or in a home, it involves weighing up the potential benefits and harms of exercising choice, empowering people to be able to undertake daily life, to access opportunities and take worthwhile chances. It’s about giving the tools to minimise and prepare for risks that can’t be avoided, but managed. Something as simple as going the loo is a perfect example. It may seem nothing to most of us, but if you have any degree of limitation in your balance, mobility, it can be a problem. And, as something we all do, on average eight times a day, it is actually something that deserves more acknowledgement than it receives. Rosemarie Lawy and Jay Denton are perfect examples of how equipment can eliminate the need for care support, but deliver that protection from risk when they need it. Both have had Closomat Aerolet toilet lifters fitted at their homes, to help them get on and off the toilet. 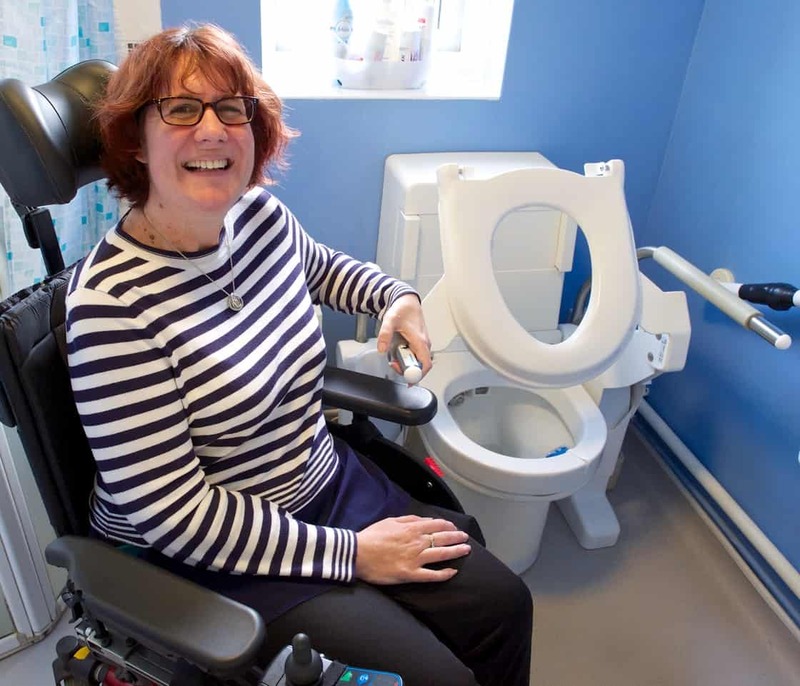 Adds Jay, who suffers from Multiple Sclerosis, “I never thought I’d get excited about a loo! I do now! Going to the loo if you’re disabled is one of the things that doesn’t even occur to you until you’re in that situation; it’s not on the radar. But when you are in that situation, it’s funny how little things make such a difference to your quality of life. They took the risk, and demonstrate how positive management can help retain independence and dignity.